Just a quick notification message, or a shout-out if you want to re-post a modified version. Shout-out to Raiden who's modding tools made this possible. Shout-out to Eternal248 who helped me with several ideas. The stronger enemies is also all him. 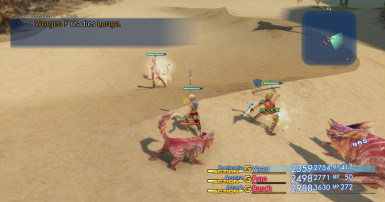 Please check out FFXII Struggle for Freedom if you haven't already! IMPORTANT: Due to a major issue with some spells being missing on the gambit selection menu, version 2.6 has been re-uploaded with a fix as of April 13th, 4:31 PM EST. If you have updated to 2.6 between April 12th and now, please re-update so that you can access these spells in gambits. 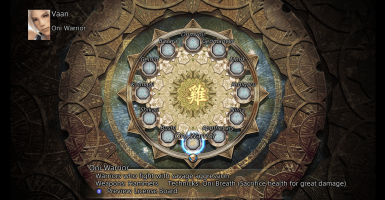 - 9 all new boards replace the boards from vanilla FFXII, and they each introduce a new style and theme built on eastern inspiration. - 3 boards (Bushi, Shikari, and Monk) remain, but have been rebuilt from the ground up. Some are only tweaked slightly while one is redesigned entirely. 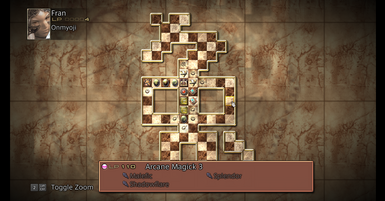 - Several new Magick spells have replaced less-useful ones from the base game. - Many returning spells have been buffed or rebalanced, including the tier 1 elemental spells like Fire and Thunder, buffs, and debuffs. 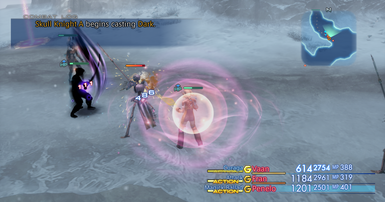 - Most of the technicks from vanilla FFXII have been removed and replaced with all new abilities that are more reliable. - While not abilities, Motes have been buffed, and many have been given all new names and animations for spells not normally accessible to the player. - No abilities will be given to the player after any specific characters join. 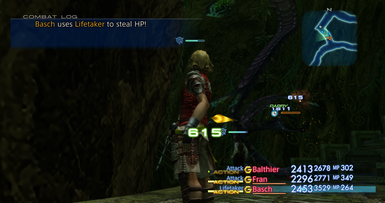 Vaan will not come with Steal, for example. Players will need to purchase these abilities or find them in chests. - Every weapon has at least one option that does not require licenses, so feel free to experiment with different weapons early on and see who's animations you like best. - Weapon damage has been rebalanced to be stronger early on and weaker later on. Many weapons have additional purposes that grant them utility beyond when they're initially required. 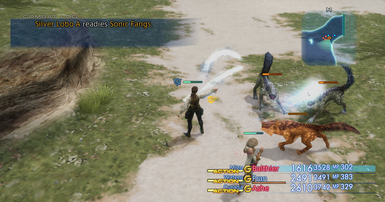 - Two new mini-categories of weapons have been added: Spell Blades are swords that enhance magicks, and Gun Blades are melee guns that act like swords, but benefit from ammo. - Hammers have been replaced with Savage Arms for the Oni Warrior. 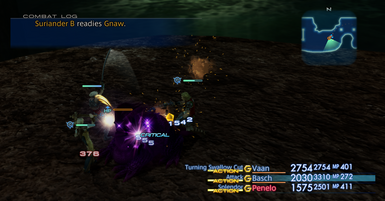 Axes remain in the game and use the speed damage formula and are separated from Savage Arms. - Crossbows have been reworked and are now unaffected by weather conditions. - Measures have been completely reworked to be usable offensively. - Ninja Swords and Hand-Bombs have been redesigned to where early weapon options are much weaker and accessible earlier in the game. - "Super" weapons have been toned down to normal levels and have been included as licensed equipment. This was done in the spirit of the challenge aspects of the game. - All six characters no longer begin with any licenses other than essentials. Everyone will only be able to use the skills associated with their boards. - Guests have been tweaked based on new abilities, and will come with updated gambits. - Espers have been streamlined so that early Espers like Belias and Mateus are still reliable lategame. They've each been given their own unique set of abilities, and their gambits have been redesigned to be much more reliable. 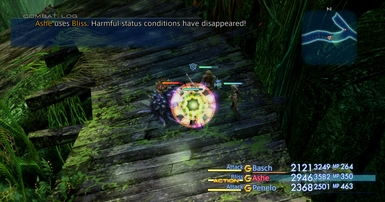 - All enemies in the game have been buffed with double their maximum HP, and their stats are all 30% stronger. - Many rare game that drop trophies will also drop powerful equipment. - Many enemy abilities have been enhanced in version 1.2.2 onward. - Some enemies have had their abilities changed to make them more challenging. Inclusion of 1.3 has, as of version 2.5, been removed. Players who were using 1.3 files can still update, but it was decided the constant need to update 2 separate versions wasn't really worth holding onto the only difference being the board shapes and 2 abilities. The consequences for updating to 2.5 now are minute at this point. Please check the articles page for a list of changes made in version 2.0 and onward.